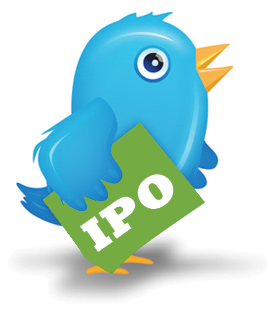 A Twitter IPO after 8 years, is it worth it? Soon you'll be able to buy a piece of Twitter. The Twitter initial public offering (IPO) continues to fascinate me, it really does. Would you want to own Twitter stock ($TWTR)? Now, after 8 years of its launch they were able to secure a $1,000,000,000 (1 billion) credit line ahead of the Twitter IPO, due to start trading around November 7th of this year. The underwriters; Bank of America, Goldman Sachs, Merrill Lynch, JP Morgan and a handful of other investors. Yet they claim to have 232 million 'active' users. How many of those users are automated bots is not disclosed by twitter. The valuation of twitter? A nice 11 billion (!). Is everybody delusional? Somehow Twitter thinks that's what they're worth. Mind you, the longevity of the average twitter user is almost next to nothing, and has an attention span of a two-year old. Those 'celebrities', media and companies etc, that are on twitter are most likely managed accounts by someone who really doesn't give a crap about what goes on in the lives of the people that hired them. (seriously, I don't see Donald J. Trump twittering at least a couple of times per hour!). The active twitter community itself is nowhere near 232 million I reckon, it might not even be close to 50 million - and that's being optimistic. The Twitter IPO is likely to become the biggest flop in IPO history if you ask me. I don't claim to have a crystal ball but I think that twitter's business model is simply not sustainable. The bottom line is that even now Twitter operates at a loss. Would you want to pay $20 for a stock of a company that operates at a loss? It doesn't make any sense. According to a Reuters poll, 36% said they don't use it and 7% shut down their accounts, those are not good numbers - it shows that the majority of people really don't care about twitter. It's mainly a marketing tool for most companies that think you care what they promote. Chances are you know what twitter is, and that's exactly what twitter's banking on; popularity - but its effectiveness is hard to find. Do companies really want to advertise on twitter? Advertise to the few people that see their message, and the rest being automated accounts? If I had a job in the marketing department of any self respecting company I would avoid Twitter like the plague. There are better options out there. I don't think Twitter stock is particularly something you want to own in your portfolio, unless it's heavily discounted - which it probably will be a few weeks after its launch. It's expected that the Twitter stock will trade around $17-$20 a share. Twitter hopes to sell around 70 million shares at launch. How comfortable are you about the Twitter IPO? Is it something you will want in your portfolio?